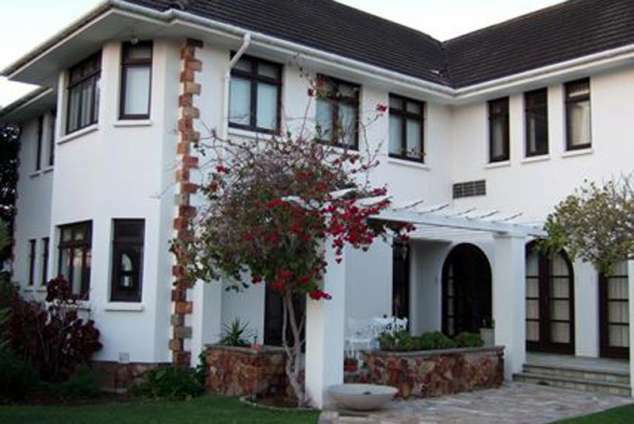 Brighton Mews Guest Suites - Summerstrand Accommodation. Brighton Mew Guest Suites, a ten minute drive from the airport, provide top quality self-catering and self-serving comfortable private family accommodation for 14 persons in three apartments. There is a spacious upstairs studio apartment with a king size bed or two single beds, a large work desk, a lounge, private bathroom with bath and a kitchenette. This unit has sunblock curtains. In addition, there are two spacious one bedroom apartments with either a king size or a queen size bed plus a three quarter or single bed, a double sleeper couch in the lounge, bathrooms with showers, full kitchens, store rooms and private patios. All the apartments are fully fitted, equipped and completely private. Security includes remote controlled entrances, individually controlled dedicated alarm systems, security safes in each apartment, store rooms and secure on-site parking. An independent guest-controlled Guest House MultiChoice DStv package is included in each apartment. Free Wi-Fi is available on-site. Complimentary tea, coffee and rusks are included. For long stay guests units are serviced weekly. Daily cleaning services are usually not available but can be negotiated for guests’ own accounts. There are communal braai facilities at the swimming pool available to live-in guests for their own private use. Pollok Swimming Beach, the Radisson Blu Hotel and the Summerstrand Village shopping mall with coffee shops, restaurants, laundromat and supermarket are all between 200 and 300 metres away. The Nelson Mandela Metropolitan University and the Boardwalk Family Entertainment Centre with cinema and casino are each 2km away. Pearson High School is 50 metres away from Brighton Mews. 23040 page views since 03 May, 2010. Last updated on 04 Jan, 2019.